Poll: Do you like the idea about fossils' remake? THIS SUGGESTION IS LARGE AND HAS MANY INFORMATION. IT MAY BE AS LARGE AS SOME VERSION PATCHES ARE. DESCRIPTION IS NOT FULL AND WILL BE CHANGED WITH TIME. Do you know what is a fossil in vanilla Minecraft? If you don't know, I will say - it's a structure generating underground in desert and swamp biomes, looking like a huge skeleton of unknown creature. It is usually made of bone blocks or - more rare - of coal ore. It has a small chance to generate (about 1/64 in each chunk of these biomes). They are useless for now, but I (and mostly my inner dinofan) hope to make them very different and more useful. Here's the fossils' pictures. This is how they look like (all the types I think). 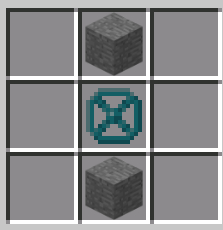 Fossils now can be used just for some free coal and bone blocks (and bonemeal! ), but it seems a but useless. This idea is nearly like a full update like "Prehistoric Update" or anything. It will remake fossils fully and add some more things. 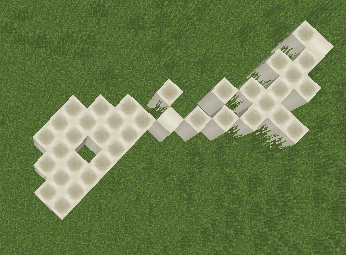 Now there will be much more types of fossils, and they will generate in different biomes. At least, Fossils will now generate in different biomes. They will generate in: Desert, Mesa, Swamp, Taiga, all Ocean types, Snowy Tundra, Icy Spikes, End, Nether and all beaches, deeper than 22 blocks underground. In all biomes, there will be different Fossils. In Desert and Mesa they will be made mostly of bone blocks and be preserved not too good (more parts than full ones). 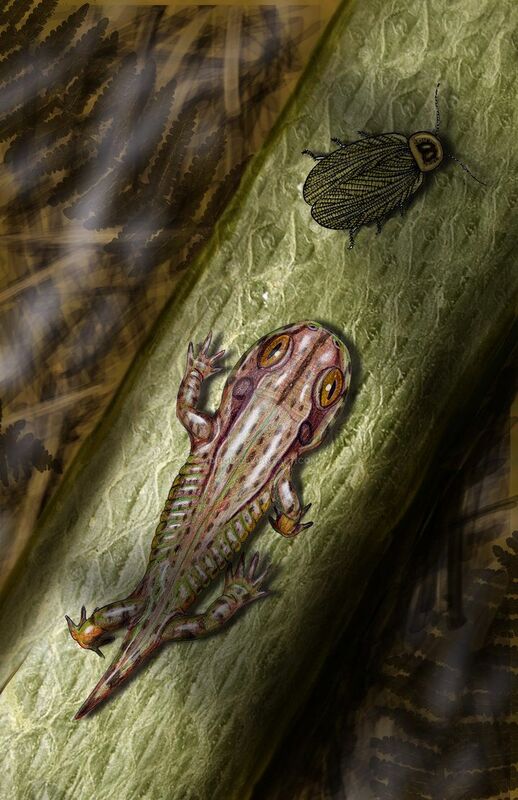 In swamps, Fossils are preserved better and there's more full skeletons, but they're always are coal or iron ore with few bones. In Taiga, fossils are replaced with cobblestone and it's mossy variant, and they preserved badly. 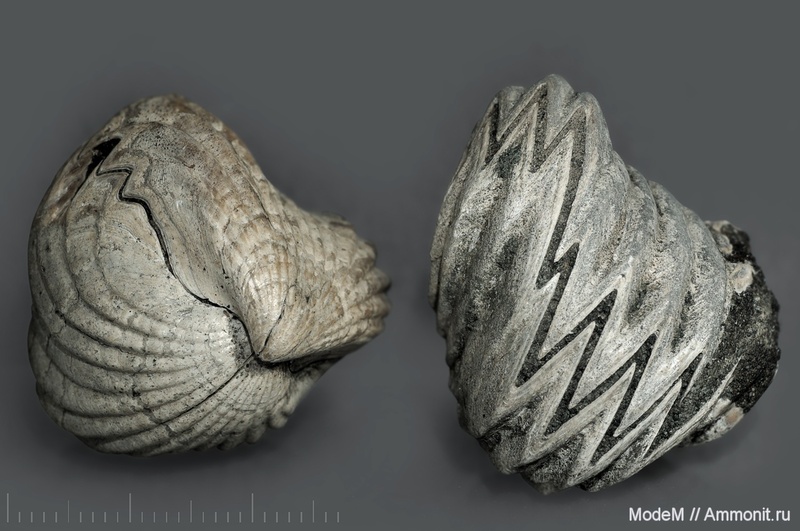 In Oceans and Beaches fossils preserved good and they're bones. Snowy biomes preserved fossils terribly, and they're usually just some bone or coal ore pieces. And yes, their generation is different - they appear one time at 16 chunks in Desert, Mesa and Swamp, one time at 18 chunks in Ocean and Beach, one time at 22 blocks in Taiga and one time at 28 blocks in any icy biome. Nether and End fossils are unique and their generation is different. And there's also some unique incrustations - sometimes fossils can be generated made of Sandstone, Stone, Andesite, Diorite, Granite, Emerald block, Diamond block, Clay, Terracotta or even Bedrock. Incrustated fossils generate randomly in any biome and they're much more rare than normal ones. And yes, fossils sometimes are mixed - bones, coal and even more "material". Anyways, there's even more unique fossils. There are some fossils that are smaller and are block-sized. These are Ammonite Fossil, Trilobite Fossil, Mosquella Fossil and Small Skeletons. Some small dinosaur skeletons, may be used as small skeletons. All Small Fossils generate in rivers, deserts, swamps, oceans, savanna, mesa, taiga and any forests, deeper than 4 blocks underground. One Small Fossil will appear in chunk with chance of 40%. They can be mined using any pick, but will drop only when mined using iron or better. Their first use is smelting them, Ammonite Fossil will give you a Nautilus Shell, Trilobite - 2 Iron Ingots, Mosquella - Ender Pearl and Small Skeletons - 4-5 Bones. But also they can be put into grindstone or crafted into smithy with 2 cobblestone to make a Prepared version of fossil, that looks like more beautiful and gives you a shining diamond-like Ammonite, dark red green-eyed Trilobite, sandy bright Mosquella or white-boned Small Skeletons. Prepared versions can be placed as decoration. Prepared Fossil craft; Structure Void is fossil here, because fossils lack sprite now. In Nether, Fossils generate very rare, but they are unique - made of Nether Quartz blocks. They are always full and their eye sockets are filled with glowstone. There are no Incrusted or Small fossils. Nether Fossils generate once at 8 chunks. In End, there are Dragon fossils made of Purpur blocks and Purpur pillars that look like Ender dragon skeletons. They are huge and generate between islands, acting like bridges, so they are useful, but beware! On them there's an Endermite spawner and some blocks are Shulkers. But in End, there's also some Small Fossils, and they are Purpur Ammonite, Purpur Trilobire and Purpur Mosquella. They appear in End Cities and can be used different to their "normal" variants - smelting them all will give you 2-3 Ender Pearls, but they also can be Prepared to be Obsidian-like and used as decoration. Their generation is unique, hey appear between some islands and not depend on chunks. In chests, there are usually Bones, Bonemeal, Coal, Wool, but sometimes there's some useful things - Golden and Iron Ingots, Emeralds, Diamonds, Music Discs "11", "13", "mall", "blocks" and "Cat", saddles, small fossils, Nautilus shell, slime, some armor and instruments, and the most useful... The Ancient Tooth, and it appears with chance of 71,8%. About it - later. How to find a fossil? There is a way to find a fossil easily. There's 2 ways. First - village. You need a cartographer or librarian. If you trade with them enough, they can sell a Fossil Map. It acts the same as Woodland Mansion map or Underwater Monument map, but instead of that it makes you go to fossils, and yes - only to fossils with Chests. It is actually useful, because you can find them easily. Second way is finding the map in Desert Temples, Igloos and Jungle Pyramids. In Desert Temple Fossil Map appears with chance of 20% in only one of the chests, in Igloo - with chance of 52%, and in Jungle Pyramid - with chance of 35%. For now it's all. Do you like my idea? Tomorrow I will write info about Ancient Tooth and what do you need it! Don't forget to visit the post when I'll write it! Oh, there's a small fix. Fossils's spawn and chance of chest spawning un them is lowered a bit. Here's new part. There will be 3-5 of them. Ancient Map leads you to the Dungeon of Time. It is a huge underground building looking at something like Stronghold, but with entrance from surface and a bit different. It is build from Sandstone and it's variants, Sand and - at some places - from Bone Blocks. It is full of traps, because there's some Pressure plates that are about 2 types of traps. First is cactus trap, when after stepping on Pressure plate you fall down on cactus (and you can't get off it) and likely die. Second is sandfall, where after stepping on Pressure plate sand will fall on you. Also there's some dinosaur skeletons and some spawners that spawn Silverfishes and Skeletons, so traveling in the dungeon is hard. Also, in the Dungeon of Time, you can find cactus farms, rooms full of web and decorations - Prepared Ammonites, Trilobites, Mosquellas and Small Skeletons. But after searching through all dungeon, in the end will be a Final Room. It is a room fully made of Sandstone with 2 chests (in these chests there's only some Music Discs and Bones) and a Time Machine in the centre of room. Time Machine is an Iron block with golden edges and a Diamond-shaped hole inside. The only thing you can do is put 1 Diamond inside... and it will start to glow in the dark and make strange sounds, a bit like cave ambient. After that, you can right-click the Time Machine and it will send you into the past. Into the new dimension. Prehistoric Dimension is unique dimension taking time in the past. It's generation is different compared to Normal map, Nether or End, it generates like a very large cave with top made of Bedrock, that looks a little bit like Nether, but insides of caves are more like Normal map with mountains, caves and lakes, and in the top of cave there's some huge holes with light and rain going through. Anyways, it is an unique dimension at least because of one reason - it has some different biomes and an unique world, that is not even a bit like Nether or End. The most common biome is Prehistoric Rainforest. It is a large forest area with new types of trees - Giant Fern, Araucaria and Magnolia tree. Also in this biome are some Giant Mushrooms, Bamboo, Vines and different plants growing on ground like Ferns, Grass, Moss and Flowers. It is very dark and the only thing that lets you see something is a Glowplant, an orchid-like flower that glows in the dark. Rainforest is also very rainy place, and usually rain is falling through some months. Some of the most dangerous creatures spawn here, so Rainforest is deadly. A little bit more rare is Tropical Swamp. Tropical Swamp is very similar to Rainforest, but even with more plants and the ground usually covered with water. There's some more Glowplants so it is not as dark as Rainforest, but water is dangerous, because you may step into place where it is very deep and drown or be attacked with Swamp creatures. Swamp has some unique plantlife like Club Moss and Giant Horsetail. When dark forests and swamps end, plains begin. Plains are full of light and grassy plants, but they lack any trees except for ginkgo, and even it is very rare. Plains are a bit less dangerous, but not as much as rainforests and swamps. There's also at least 4 biomes - prehistoric taiga, prehistoric desert, Icy Ocean and Tropical Ocean. In Prehistoric Taiga, there's cold and everything is covered with snow. Here's only some types of trees - Redwoods and Magnolias, and on the ground there's some plants like ferns and moss, but mostly everything is snowy. This place has some good ores underground, like Iron, Coal and even Diamonds, but beware of apex predators that roam here! Prehistoric Deserts are large deserted areas full of cactuses, sand and some unique plants like desert cypresses. Mostly there's no large carnivores or other dangerous creatures, but don't fall on thorny cactus or walk through quicksands - you can stuck and die from hunger or attract dinosaurs that will eat you! Icy Ocean appears close to the Taiga, it is a deep ocean with just some kelp and different species of aquatic creatures. It's surface is sometimes icy or with some icebergs, but in the depth, there's darkness and some dangerous creatures. Tropical Oceans are not deep at all, full of corals, sponges and other wildife, and it is not too dangerous except for some small sea predators and scavenger dinosaurs that search for food on beaches. And yes, next part that will be about creatures will be soon. Possilby it will be separated to 2 parts, because in this dimension there's lots of animals. Now, there's just a part 3... ABOUT CREATURES! There's lots of prehistoric invertebrates! 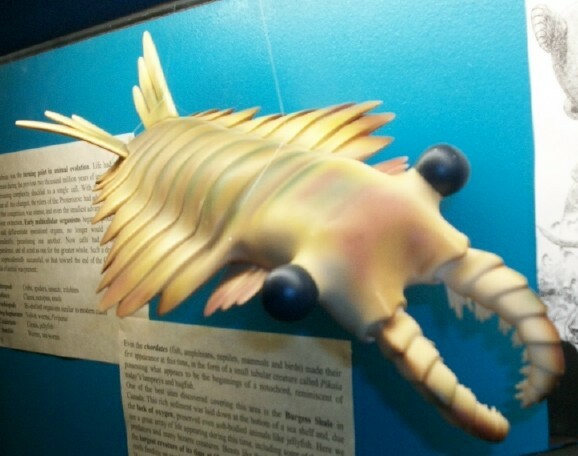 Anomalocaris is a giant prehistoric aquatic arthropod, about 1 meter long. While being carnivore, it will not attack player, but it will hunt Fish, Trilobites, Ammonites, Squids, Hallucigenias and baby Tortoises. It is 1,5 blocks long at can live only underwater, swimming slowly until seeing prey - after that it will attack and grab it with "claws", usually killing fastly. After getting damage it will panic and swim away very fast. 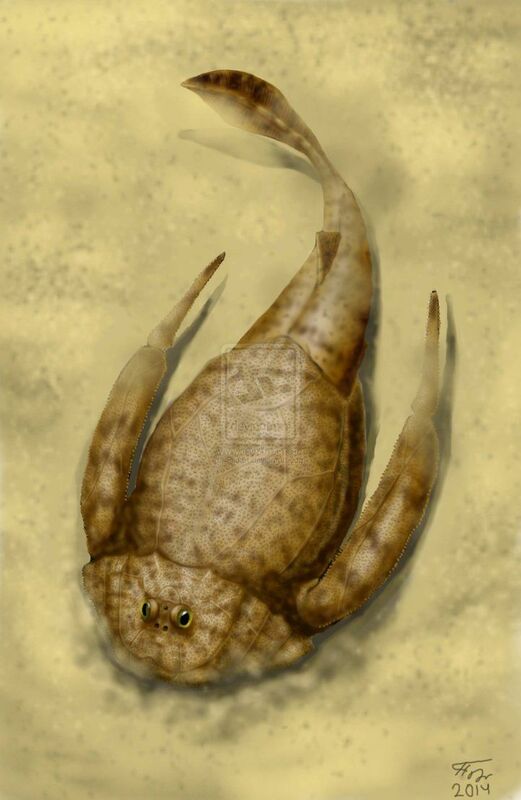 Anomalocaris can't be tamed, but can be bred using any fish, and they lay eggs underwater. And yes, it is mostly an atmosphere mob, but it has some good drop. Anomalocaris is usually very beautiful, colored with red, green, blue and yellow colors, and sometimes it has a light blue glowing spots, bioluminiscence. Anomalocaris Claws are very useful, they can be used to make a Cambrian Stew (about it - later). Hallucigenia is the weirdest prehistoric creature as it usually called. It is a very small creature, and on picture you can see why it is called the weirdest. It is related to velvet worms and was likely a scavenger. It is peaceful and can't damage anything. It is smaller than one block and usually crawls slowly in ocean. It has no protection from carnivores, but nearly none of them can find them in the places where they live - usually they spawn in depths of Icy Prehistoric Oceans. Hallucigenia is peaceful and after being damaged will fastly crawl away and usually hide in caverns 1x1 block sized, where nearly no one can get. It can't be tamed or bred and behaves mostly as atmosphere mob, and can be picked in bucket of water like any fish. It drops only body itself that can be used as any fish, can be used to tame cats or feed dolphins, can be cooked and eaten. Raw Hallucigenia restores 2 and 0.9 saturation. Cooked Hallucigenia restores 3,5 and 9.7 saturation, so it is better than cod and even than salmon. Hallucigenias can be red-and-yellow, blue-and-yellow and green-and-white. And yes, Raw Hallucigenia is need to create a Cambrian Stew (about it - later). 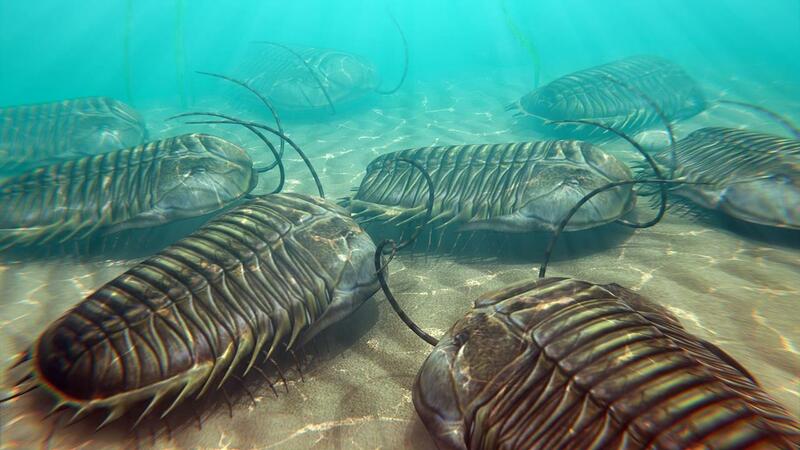 Trilobites are ocean arthropods, mostly scavengers, usually slowly crawling on the depths of ocean. They can be different size, from 2 times smaller than a block to 2 blocks long, and they can't damage anyone... But they have unique protection form carnivores. After being damage it will fastly dig underground and disappear, and block will turn into Trilobite Hole, which can be digged with shovel only, and after that, trilobite will appear and block will transform to what it was some time ago. Trilobites will eat sea pickles and coral fans if they find these blocks. Trilobites also can be bred using sea pickle, they lay eggs underwater and also can be picked in bucket of water like fish. 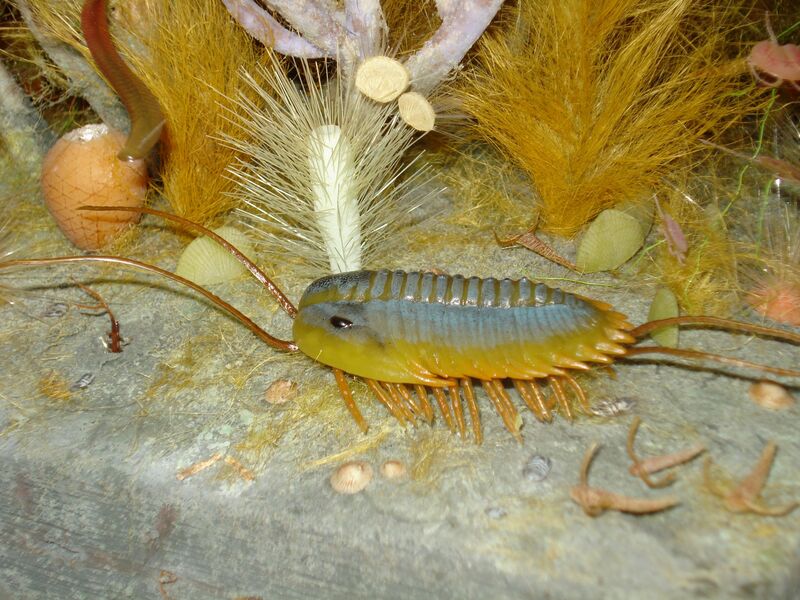 After death they drop only Raw Trilobite that can be used as any fish, can be used to tame cats or feed dolphins, can be cooked and eaten, but after eating raw trilobite it will add you a 11 second mining haste. And yes, Raw Trilobite restores 1,5 and 1.3 saturation. Cooked Trilobite restores 4.8 and 12.5 saturation. Also Raw Trilobite is need to create a Cambrian Stew. 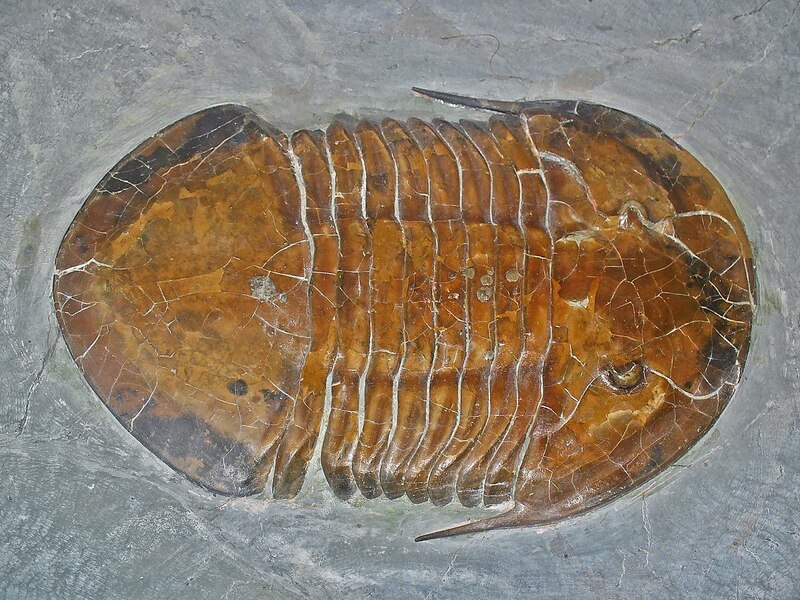 Trilobites can be dark red, dark green and dark blue, and their eyes are diamond-colored or yellow-colored. Ammonite is a prehistoric cephalopod, they usually just float in water or slowly swim near shores. They can be different sizes, from 1 block to 1,5 blocks, and their only protection is their shell that blocks some damage to them. If they have 1 heart of health or even lesser, they will hide in their shells fully and become nearly unkillable. 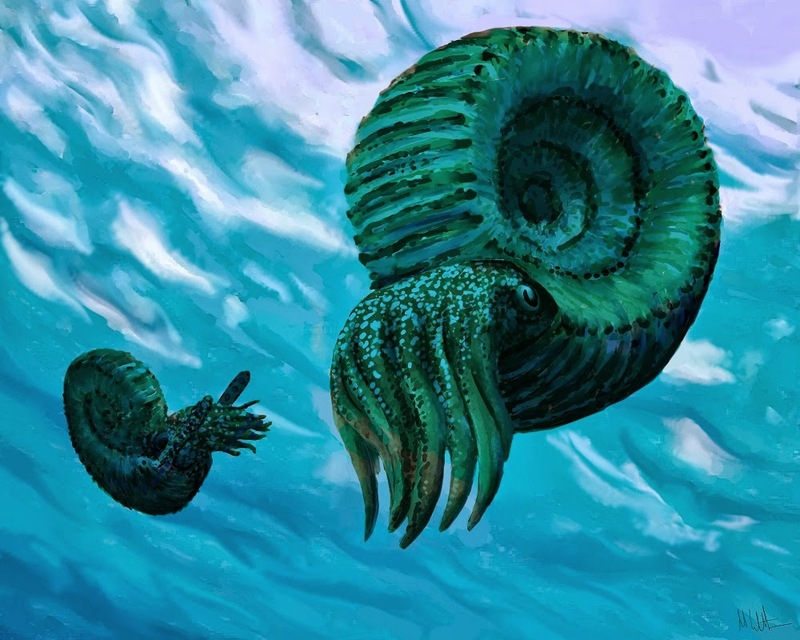 Ammonites can be bred with any fish, they lay eggs underwater. They can be picked up in water bucket like fish. After death, they can drop 0 or 1 Nautilus Shell, so hunting them can be useful. Ammonites can be red-and-white, yellow, brown, blue, reddish-brown, dark green or diamond-colored. 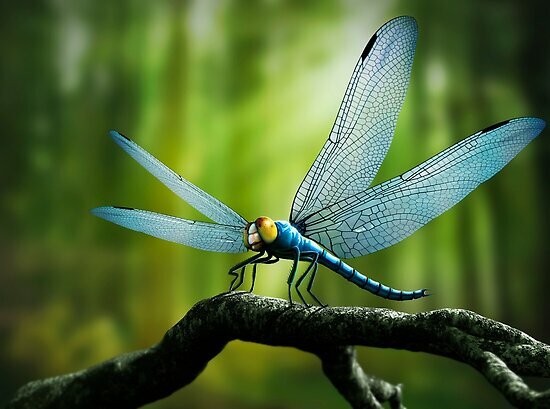 Meganeura was a giant dragonfly, with more than 1 meter wingspan. It usually flies through rainforests and swamps, searching for food. It will attack silverfishes, spiders, eurypterids and arthropleuras. To player, it's neutral and will attack only if it will be damaged. Meganeura is a hard enemy, because of it's speed. Anyways, it has no drop except for experience. Anyways, Meganeura can be bred using spider eyes. They can be metallic red, metallic green or metallic blue. Arthropleura is a giant centipede, usually just crawling in forests. It is a herbivore and will not attack you until you damage it. Some predators like Eurypterid, Labyrinthodont and Meganeura attack it and usually Arthropleura loses in battle. Arthropleura can't be tamed, but can be bred using apples or carrots, they lay eggs like turtles. There's a good way to use the centipede - you can use shears it to shear it and get Hard Chitin, but after that it will attack you! And yes, it can be sheared next time after 10 minutes. Arthropleura also can be killed to get Hard Chitin. Hard Chitin's only use is crafting it into Hard Chitin Armor that is a bit harder than iron but weaker than diamond. Arthropleuras can be dark brown or dark green, and they're 2,5 blocks long. Eurypterids are large scorpion-like arthropods that live mostly underwater, but also can live on the ground. They are 2 blocks long and are aggressive underwater and neutral on the ground. They will attack Arthropleuras, Ammonites, Fish, Turtles, Dolphins, Silverfish, Guardians, Drowned, Squids, Trilobites and Hallucigenias always, and will attack Player, Zombies, Skeletons and Villagers underwater. Danger from them mostly is their poison, if they bite you thay will poison you for 6 seconds. They are extremely dangerous underwater because they swim much faster than player, but on ground they are slower and not so dangerous. Anyways, they drop some experience, also they can drop Hard Chitin and Spider Eye, because they are relatives of spiders. Also Euryperids can be bred using any fish, but only on ground. After that, they will crawl underwater and lay eggs. And yes, they crawl on ground rarely. They can be sandy brown, dark grey, greenish-brown or light blue. Next 2 parts of creatures will be soon! Now, there's a part 4, it is ALSO about creatures, but now with different) Part 5 will also be about creatures, and parts 6 and 7 will be about crafts, dungeons and possibly the final boss. Amphibians are semiaquatic creatures that live on land and under water, and for now there's no ampibians in Minecraft. These will fix the problem. Amphibamus is a first amphibian added here! It is about 1 block size, living mostly underwater, but sometimes on the ground. It is a carnivore, as all amphibians are, so it hunts Trilobites, Silverfishes and Meganeuras. Being similar to frogs, it can jump about 3 blocks in height, so it can catch low-flying Meganeuras. And yes, it oneshots these arthropods. Amphibamus is a peaceful creature and will escape into water and swim away when attacked. After death it drops only Slimeballs with low chance and some experience. Amphibamus can be tamed! To do that, you need to use some Spider Eyes and feed them to the amphibian. After taming, it will follow you (if not ordered to sit) and can be used only 2 ways. Second: Fear to Pillagers! Pillagers are afraid of Amphibamus, like Creepers are afraid of Cats/Ocelots. After taming they can be bred and lay eggs underwater. And yes, Amphibamus can be dark yellow, dark orange and dark blue. Vieraella is an early frog that lives in Tropical Swamps, and it is the same as Amphibamus. Actually just like an another skin for it, can be tamed and used the same way. After taming they can be bred and lay eggs underwater. They can be blue with white spots, yellow with black spots or green with orange spots (spots are like that on picture). 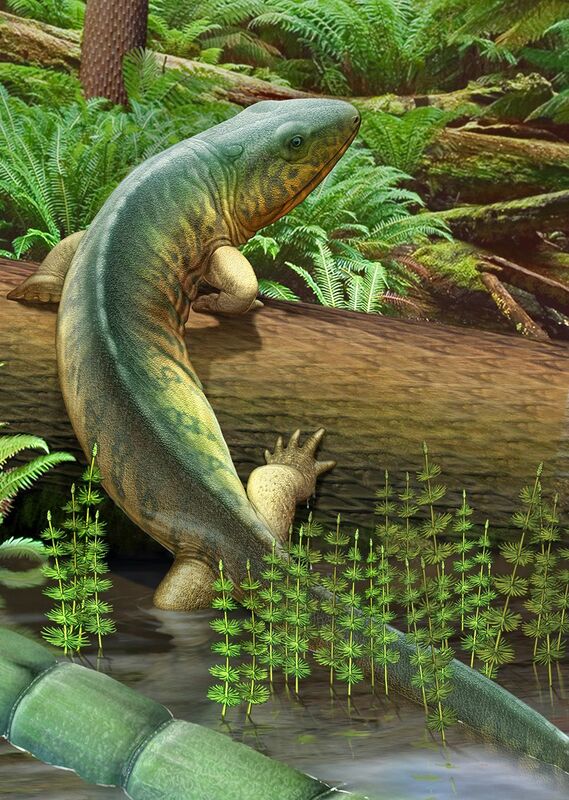 Labyrinthodont is a giant amphibian, being about 4 blocks long. It is a dangerous carnivore and will attack Player, Chickens, Cows, Pigs, Sheep, Horses, Wolves, Llamas, Ocelots, Ammonites, Trilobites, Anomalocarises, Eurypterids, Meganeuras, Villagers, Dolphins, Turtles and some more creatures, but it's favourite prey are Arthropleura, Luystrosaurus and Scutosaurus. It is very dangerous on land, but even more underwater, where it's damage is very high. It is not the fastest creature in game, but even it's speed underwater is much faster than player, so don't get close to Labyrinthodont! Also, as nearly all amphibians, it's venomous, and it's bites will be fatal with venom. Anyways, the best way to protect yourself from Labyrinthodont is having some Arthropleura or Lystrosaurus closely to you - amphibian will fight it, and battle will likely be not so long, so it's better to escape fastly. But if you kill the Labyrintodont, it will drop some Amphibian Venom and Slimeballs, and with some chance Raw Cod. It's better to use bow than sword, and shoot the giant amphibian from distance. Anyways, Labyrinthodont is the danger you can meet at swamps, and for now there's no way to tame it. They can be dark green with orange stripes, gray with black spots or orange-and-yellow. Reptiles are crocodiles, snakes, lizards, turtles and some more, and synapsids are mammal ancestors, similar to reptiles, but different. P.S. There are no dinosaurs. They will be in part 5. Also there are no aquatic animals, they also will be later. P.S. And yes, some of creatures here are real, and some are created by me. Euparkeria is an early archosaur and dinosaurs' relative. This small (1 block size), fast bipedal (walking on 2 legs) reptile usually chases insects like Silverfishes and Meganeuras. It is a peaceful creature that isn't attacking you even if you damage it, instead of that it will run away. This "lizard" is one of the fastest creatures, running faster than even Phantoms' flight. It also can jump on the height of 2 blocks. Euparkeria don't drop anything, except experience, and it's not the best creature to hunt because of it's speed. Euparkeria can be tamed using raw pork, raw beef or raw rabbit. After taming, it will follow you, can be ordered to sit (as any tamed animal) and it's use is hunting - it will attack some mobs that you attack, but not all, only peaceful ones, but it's speed is best to chase down rabbits and some other fast animals. It will not follow you or attack creatures underwater. Only aggressive creatures it will attack are Vexes and Phantoms, and Euparkeria will pounce on them, dealing much damage. And yes, Vexes and Phantoms will not fight back and damage Euparkerias, so it's better to take that "lizards" to Mansions and to hunt Phantoms. And yes, Euparkeria has no fall damage, so even if it fall from 254 blocks, it will survive. After taming they can be bred, and they lay eggs on the ground, like turtles. Euparkerias can be sandy, brown, yellow or green. Chasmatosaurus is an early crocodile relative, being about 2 blocks long, it is the dangerous creature, and it's most danger is their number - usually they attack in packs, about 4-6 "crocodiles". They are living in any lakes and rivers in Prehistoric World, and usually they swim in water or crawl on the beach. Their main prey is Lystrosaurus and Scutosaurus, but all other small and medium creatures will be attacked, including Player. They have not so much HP and damage, but even that is dangerous. Chasmatosaurus are fast runners, but they swim even faster. Killing one will drop you some leather and experience. Chasmatosaurus cannot be tamed, breeding is possible - but they lay eggs randomly on sand, and this isn't controlled by player. They can be light blue, dark green and dark orange. Cherminotus is an extinct monitor lizard, it is about 1,5 blocks long and is an carnivore. It hunts small creatures like Euparkeria, Silverfishes and other small animals, but it's main food is dinosaur eggs (and even turtle eggs!). Anyways, it is neutral to player and will attack only if damaged. It's drop is some experience and leather, and it is untamable. Cherminotus is very fast and can chase down even Phantoms, but not Euparkeria. They also can breed like Chasmatosaurus, lay eggs without player's control. Cherminotus can be dark sandy, brown or orange-and-white. 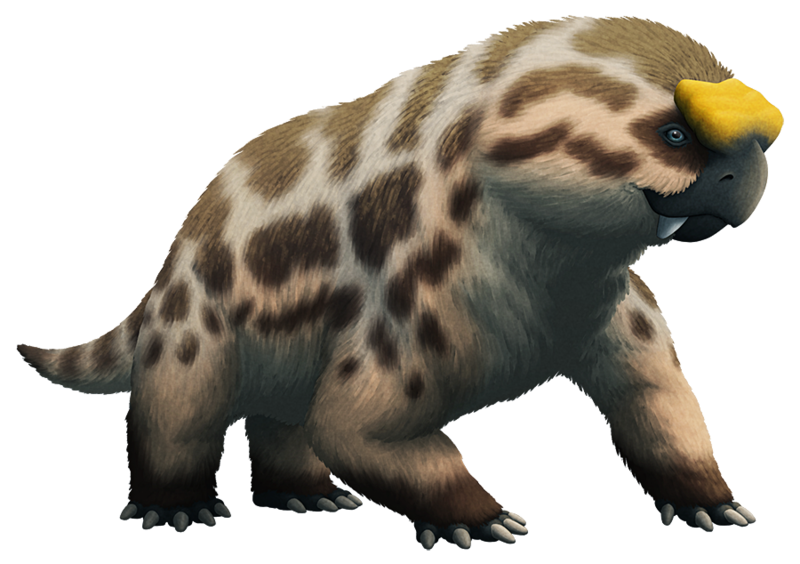 Lystrosaurus is a dicynodont synapsid, pig-sized and furry, usually living in deserts. It is peaceful and usually just walking through deserts in search of food - any plants (and yes, they will eat grass). It's favourite food is apples and carrots, and it can be tamed using them. It is neutral mob, and it will attack only if get damaged, and yes, all herd will attack you if you hit one. They are not too fast and deal only 1 heart of damage, so it's easy to hunt them. Anyways, Lystrosaurus can't be tamed, but can be bred using apples or carrots, and they born babies like pigs or sheep. Their drop is pork and wool, but you may not kill them for getting wool! You can shear lystrosaurs like sheep, with shears. Also they can be ridden like pigs, use saddle! But riding "lystros" is not too useful, because they are much slower even than pigs. They will follow you when you have carrot in hands, so you can build "lystrofarms" like you build sheepfarms and pigfarms. And yes, they can be grey with black spots, green with brown spots, yellow with orange spots or beige with brown spots. Scutosaurus is a large herbivore, about 5 blocks long and 3 blocks tall. It is a close relative of modern turtles, and it's armor is also hard. Scutosaurus are usually walking in herds through deserts and eating any plants - even dead bushes and cactuses - in their way. If you hit one, all herd will attack you. 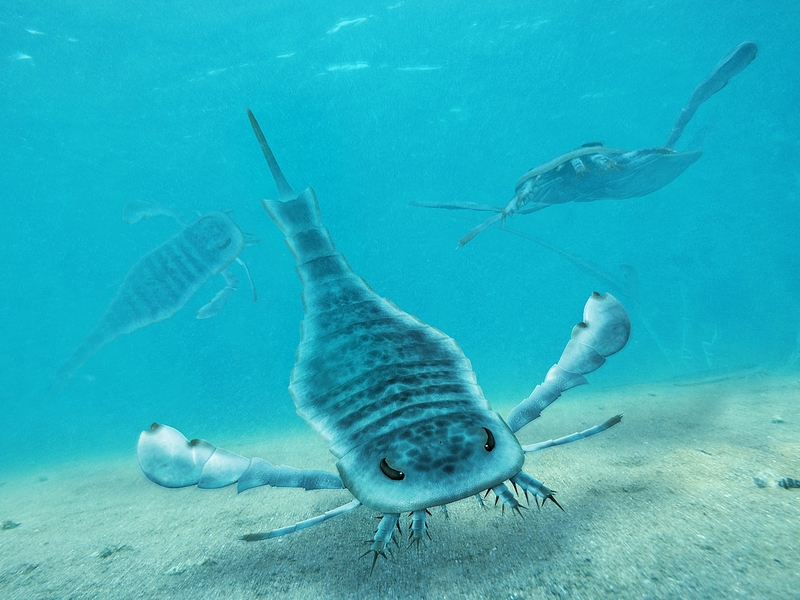 Their many predators are labyrinthodonts and inostrancevias, and while first attack them in water, second ones are chasing them through deserts. Scutosaurus is very tough and hard to kill, but if you kill it, you will get some good drop - scute. Scutosaurus can't be tamed, but can be bred using wheat. They lay eggs on the ground. Scutosaurus are rare, so it's hard to find them and get some scutes and leather, but if you find them, it's better to lead them closer to house - they will follow you, if you have some wheat in hands! And yes, they can be light brown, sandy or dark orange. Inostrancevia is a large scarnivorous synapsid, looking like similar to modern wolves, but very large - about 4,5 blocks long and 1,5 blocks tall. It is aggressive and will attack player and some mobs, and it's favourite prey is Scutosaurus, so if Inostrancevia chases you, run to closest Scutosaurus herd. Anyways, Inostrancevia is extremely aggressive and powerful, so don't fight it if you didn't have at least iron armor and sword. This creature can be tamed, to do that, you need to drop it any meat. After eating it, it will become peaceful for 10-20 seconds, and in that time, you need to feed it scutes. After that, it will be tamed. Inostrancevia can be ridden using saddle, and to control it (sit and follow), you need a bone. It can do everything the same as wolf, except for you can riding it. When riding, you can click X to bite, so you can fight while you riding it. It can jump only on height of 1 block, but it has very high speed. Tamed Inostrancevias can be bred by feeding them scutes, they born living babies. Inostrancevia can be called a "mix of horse and a dog", because it can be ridden and used in battle. And anyways, they can be brown, sandy, black, brown-and-white, gray-and-white and beige with brown spots. It's all reptiles and synapsids for now! Possibly, 1-2 synapsids will be in the next part! Well, the last creature part. It has fish, mammals and dinosaurs (including birds). Bosses and non-animal creatures will be only in dungeons, and we will talk about it later. In Prehistoric World, some fish of the our world spawns also. Salmons spawn in the Icy Prehistoric Oceans and tropical fish spawn in Tropical Prehistoric Oceans. But there's some species of new fish. Tiktaalik is a transitional fossil between fishes and amphibians, and it can be found in the Prehistoric Dimension! It's about 1,5 blocks long and is a peaceful animal, it don't attack the player, but hunts Silverfishes, Ammonites, Bothriolepises and Hallucigenias. After getting damaged uit will panic and swim away. Tiktaalik can crawl on the ground and move normally, and it will start to die after 15 minutes, so it can crawl on the ground for long time without returning underwater. Tiktaalik can't be tamed, and they can breed by laying eggs in water without control of player. They drop experience and Raw Salmon, and can be red with white spots or dark blue with black spots. Megalodon is a giant shark that usually can be met in Tropical Prehistoric Oceans. It's length is about 10 blocks, and it is a neutral mob that will attack only if damaged OR if player has 8 hearts of health or lesser (reference to real sharks attacking wounded people). Mostly it's a scavenger that hunts only ammonites, anomalocarises and some sea reptiles, but if it attacks player, player has only a few chance to survive. Megalodon can't be tamed or bred, and drop experience, cod and Megalodon teeth, that can be used to craft some items (about it - later). Megalodon is a prey for Prognathodon and other large predators, so it will swim away when a bigger carnivore is close. And yes, Megalodon can break all types of ice, leaves and soul sand. ANd it can be grey, sandy or white. Bothriolepis is a placoderm fish that lives in Tropical Oceans, it is a herbivore that feeds on sea grass. Acts absolutely the same as all other fishes. Can be sandy, brown, gray, dark red or dark yellow. Mammals are unique in this world. There are only few species, but they are different of sheep, wolves or cats. 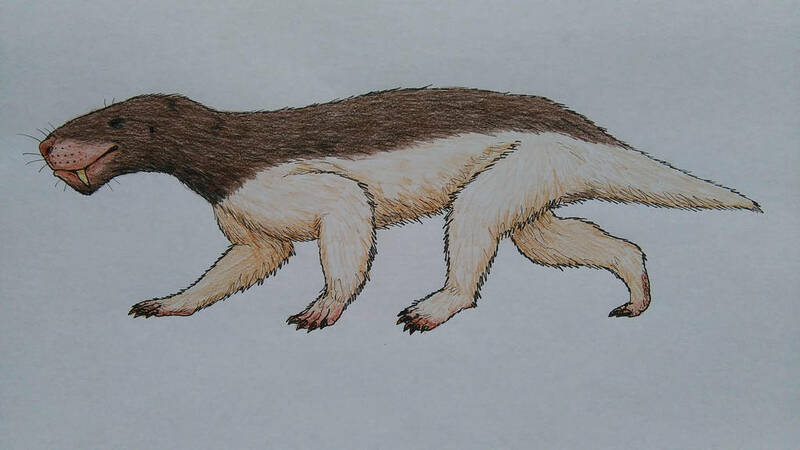 Gobiconodon is a small carnivorous mammal that lives in Prehistoric Taiga. It is the largest mammal in Prehistoric Dimension, being about 1,5 blocks long and nearly 1 block tall. It is a predator that hunts Silverfishes, Rabbits, Chickens, Euparkerias, Lystrosaurs, Deltatheridiums and Nemegtbaatars. To player it is neutral and will attack only when damaged. Gobiconodon drops only experience and leather. It can be bred using any meat. It borns living babies, like all mammals. Gobiconodon can fit in 1x1x2 tunnels. And yes, there's a way to tame it - using bones. After taming it behaves absolutely the same as wolf. And yes, it can be brown, grey-and-white or sandy. Nemegtbaatar is a small herbivorous mammal, smaller than even 1 block. It behaves the same as rabbit, but instead of eating carrots it eats seeds. If it sees player, it runs away fastly. Nemegtbaatars also will eat planted crops and can be bred by feeding any seeds. In other ways, it's the same as rabbit. 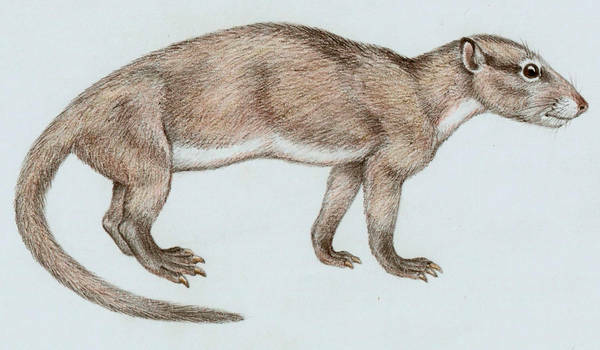 Deltatheridium is a small omnivorous mammal that lives in deserts. It hunts only on Silverfishes but also eats crops. Deltatheridium is passive and will run away when it sees player. It can't be tamed and will breed without control of player. It can be brown or sandy. For now it's all about it. And finally, the dinosaurs! Most of them are based on real ones, but named different. Sylvioceratops is a small (1,5 blocks long) herbivorous dinosaur that usually just grazing in taiga or rainforest. It is a neutral mob and will attack if damaged. Sylvioceratops is usually eating grass, but if it will find crops, it will eat them. It's main predators are theropod dinosaurs, and it will escape from any predator bigger than itself. It can protect itself from smaller or similar-sized carnivores, but if it has only 4 hearts of health or lesser, it will escape. After death Sylvio will drop experience, raw chicken and Bristles that can be used in some crafts. And yes, Sylvioceratops, like nearly all dinosaurs, can be tamed. To do that, you need to feed it with beetroot, potato or carrot. After taming it can be ridden, but it is very slow, but there's at least one use of riding Sylvio. If you press X, it will swing it's head, deling small damage to mobs... and tilling dirt into farmlands, so it acts like a "living hoe". 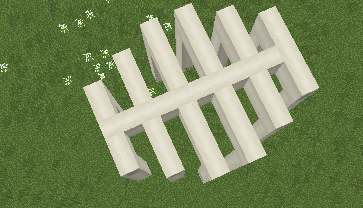 And yes, also it's headbutting can break wood, pumpkins, melons, bamboo, sugar canes and any crops, and in cause of these blocks it will collect much more drop than anything: wood will drop 2 wood, pumpkin - 2 pumpkin, melons - 6-11 melons, sugar canes - 2 sugar canes, bamboo - 2 bamboo and crops - 2-3 crops instead of 1. So Sylvio is useful for farmers. Some more facts: tamed Sylvioceratopses will play with some dropped blocks (mostly stones, ores, cobblestones and planks) by headbutting it into air, chasing and throwing again and again. Sylvios can be bred by feeding them carrots after taming. They lay eggs on any ground block, and eggs need heat to hatch. 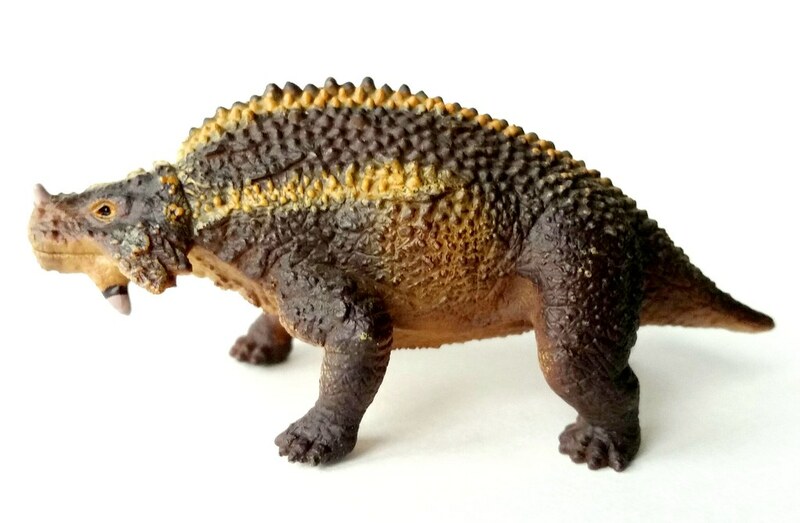 And yes, Sylvioceratops can be different colors - sandy with brown spots, dark orange with beige spots, light brown with black spots or light orange with reddish-brown spots. Their tail bristles can be brown, white or gray. Based on different small theropods like Sinosauropteryx and Coelurus. And yes, they will have cute sleeping animation on your bed, like cats. Tamed Coelurolesteses can be bred by feeding them Raw Chicken. After that, they will lay eggs and one of them will sit on eggs, heating them. Coelurolestes can be dark red with white stripes, gray with black stripes, sandy with brown stripes or white with dark red stripes. Based on different pachycephalosaurs like Stegoceras. Pachytholus is a small herbivore, about 2,5 blocks long. They walk in herds of 5-7, eating grass and some other plants, usually in plains or rainforests. They are neutral and will protect themselves from carnivores and player. Their headbutting has good knockback, so it is very dangerous, and it is better to not attack them. Pachytholus can be tamed using Carrots or Apples, and after that they can be ridden with saddle. It is fast and can headbutt by pressing X, and it's headbutts can not just only damage - it also will break some blocks. And yes, Pachytholus can jump very high. After taming, they can be bred using carrots, and they lay eggs on ground. Pachytholus can be ordered to sit using stick or bone. Also you can put chest and carpet on them. Pachytholus is one of the best creatures to travel on them. And yes, they can be brown, gray or dark orange, and their head "domes" can be red-and-yellow or blue-and-yellow. Based on different ceratopsians, like Triceratops, Centrosaurus and Pachyrhinosaurus. DROP: 10 experience, 1 Raw Chicken, 1-3 Bristles, 1 Acroceratops Horn. 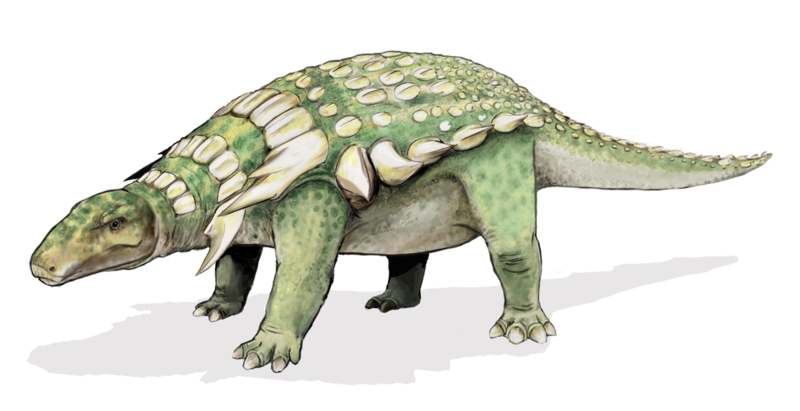 Acroceratops is a large herbivore, about 5 blocks long. It is usually roaming in taiga, in herds of 3-5. They usually eat grass, leaves and any crops, and they are neutral (will attack only if damaged). It's better to not fight them, because they can easily kill player with 1-2 hits of their horns. Anyways, they drop some good things like Acroceratops Horn and Bristles. But there's a better thing you can do with them - you can tame them. To tame Acroceratops, you need to feed it with Golden Carrot or Golden Apple. After taming it can be ridden, and tamed one is very helpful. At first, while riding it can headbutt on X, and headbutting deal much damage to all creatures and breaks some blocks, so it can be used for harvesting something. Also it can till dirt to farmland. Acroceratops's speed is not so high, but it's breaking blocks and battle abilities may be good for attacking other players or, for example, Woodland Mansions. Also Acroceratops can be equipped with chest and 2 carpets. They can be bred using wheat, and lay eggs on the ground. Also they can be white with black spots, green with dark green spots, gray with black spots or sandy with brown spots. Theit "frills" can be red with yellow spots, blue with black spots or orange with white spots. Based on Deinonychus, Dakotaraptor, Utahraptor and other "raptors". Veneniraptor is a medium (4,5 blocks long) carnivore that can be met in different biomes. They are extremely dangerous, have lots of health and high damage, but their most dangerous feature is Fatal Poisoning effect. It acts the same as Withering, but a little bit slower. Veneniraptors usually spawn in packs of 2-4. They are sometimes called as "ultimate killing machines", they will attack most animals except for the largest ones. Also they can climb trees and jump on distance of 5-6 blocks, so Veneniraptors can find you even if you hide. Best way to fight them is riding something larger and stronger or shooting from distance and using shield. And yes... Veneniraptors can be tamed! To do that, you need to drop any raw fish close to Veneniraptor. After eating fish, Veneniraptor will become neutral for 12 seconds, and in that time you need to feed them any meat. After that, it will be tamed. Tamed Veneniraptor will follow you and behave as wolf. You can order it to sit or walk using bone. After taming, it can be ridden using saddle, and also equipped with 1 chest and 2 carpets. Tamed Veneniraptor is an useful creature, because of it's speed, battle power and jump height. By pressing X it will bite, causing enemies to be Fatal Poisoned. Veneniraptor also can be "milked" to get some Raptor Venom. And yes, they are very fast, running as fast as Euparkeria, so if you tame at least one of Veneniraptors, you are lucky one, because it is the best rideable creature here. And yes, they can be bred by feeding 2 of them with meat, and they lay eggs like all other dinosaurs. Also there's some more interesting facts: tamed Veneniraptors will play with dropped bones, also they even without chest have a slot in inventory where you can put any meat and raptor will automatically heal by eating it. Also one fact: Veneniraptors can be gray with black spots, orange with black spots, red-and-white, dark blue with white sprites or green with dark green stripes. Based on Dilophosaurus, Allosaurus, Megalosaurus, Carnotaurus and Ceratosaurus. Megalodontosaurus is one of the largest predators in the prehistoric world! It is about 8 blocks long and 4 blocks tall, and it is the one of the most dangerous creatures. It's main power is it's high damage - even Veneniraptor can survive only 4 bites of Megalodontosaurus! But it's speed is low, so even Acroceratops can outrun it. And yes, Megalodontosaurus is usually living in taiga. Anyways, fighting it is better on back of Veneniraptor: bite and then run away, and doing that until the large predator dies. There is a way to tame it - you need to drop Spider Eye to the carnivore, and after eating it Megalodontosaurus will become peaceful for 4-8 seconds. In that time you need to feed it Rabbit's Foot or Fermented Spider Eye. After that it will become tamed, and tamed Megalodonto can be used different ways. At first, it is not for travelling. You can't put chests on it and it's speed is very low. Instead of that, Megalodontosaurus can be used for battles with bosses or for house protecting. You can put saddle and 3 carpets on it. And yes, it also has a food slot as Veneniraptor has, and also attacks on X.
Megalodontosaurus can be bred by feeding two of them with Spider Eyes or Rabbit's Feet. They lay eggs like other dinosaurs. Megalodontosauruses can be black-and-white, black-and-gray or gray-and-white. And yes, their crest on head can be yellow or orange. Based on Gastonia and Antarctopelta. Acanthopelta is a large herbivorous dinosaur (6,5 blocks long) living in taiga places. First fact is it's EXTREMELY RARE spawning: it's spawning is unique, and one will appear once at 24 chunks! It is usually grazing on different flowers or vines and rarely on grass. It is netral and will attack only when damaged. And yes... It's armor protects it from most carnivores and player, and it's tail swinging can deal huge damage and throw far away, so don't fight it without good weapons and armor! Best way to defeat the large dinosaur is shooting it from distance, because it is the slowest dinosaur in the Prehistoric dimension. Another way is fighting using large dinosaurs against it. But the better thing you can do with Acanthopelta is taming it! To do that, you need to feed it some beetroot or potatoes. After that, it will be tamed. After taming, Acanthopelta is not the best creature for traveling or for fighting, but it is cool for... mining! It's tail swinging can break any ores (and all other ground blocks such as stone, granite, diorite, andesite, cobblestone, gravel or sandstone, including even obsidian), and they will drop much more, for example, diamonds than even the best enchanted pickaxe! So take Acantho to your mineshafts! And yes, you can put 3 chests and 1 carpet on it. It also can be bred like all dinos (and yes, food for breeding is golden carrot). And the final fact: they can be dark blue, dark green, dark red, dark orange or light gray. Based on any hadrosaurs like Olorotitan, Parasaurolophus and Shantungosaurus. Titanolophus is the largest herbivore in the Prehistoric Dimension. Being 13 blocks long and 6 blocks tall, it is the huge creature. Usually they walk on 4 legs, but can stand up on 2 to eat some leaves. Their size makes some small carnivores like Veneniraptors not attack them, and their main predator is Megalodontosaurus that can defeat them easily. Titanolophuses usually walk in herds of 5-8, except for Migration Periods when they all are going together after herd leader, and the migrating herd can have up to 24 dinosaurs. Killing them will not give you anything except for some leather and chicken. Titanolophus can be tamed by feeding them Golden Apples. After taming, you can ride it with saddle, headbutt (that collects only some things and deal low damage) with X and - most importantly - put 2 Chests and 4 Carpets on it. And yes, one more fact... You can also put 1 Shulker Box on it! After taming, they can be bred using Enchanted (!) Gold Apples. After that they lay eggs like other dinos. And yes, they can be dark grey with brown spotsm, green with dark green spots or grayish-brown with black spots. Their crests can be red with yellow stripes, orange with black stripes or green with blue stripes. And the last one is... the king. Dynamosaurus is an apex predator of Prehistoric Dimension. Nearly no dinosaur can defeat it, and so can't you. It's bite power is very high, and it's unique grabbing ability will one hit kill anything it can grab. Only creatures it can't grab are: another Dynamosaurus, Titanolophus, Megalodontosaurus, Acanthopelta, Veneniraptor, Scutosaurus, Acroceratops, Megalodon, Prognathodon, Elasmosaurus, Ender Dragon, Giant Zombie, Illager Beast, boss of this dimension (about it - later) and, ironically, Bat. All others will be grabbed and die from one bite, even Iron Golem or Wither. But if you defeat the King, it's heart can be used to make a King Potion that lets you tame it. If you drink it, you will get a King effect for 4:30 seconds. It makes Dynamosaurus neutral and tamable with another Dynamosaurus heart! After taming you can ride it, and it can even carry 2 Chests and 3 Carpets. And yes, the war abilities are huge... It can bite on X and grab on P, so you can defeat nearly everyone on your Dynamosaurus. But it is not too fast, so it's better to use Veneniraptor for traveling, and also Dynamosaurus can't be bred. And yes... Dynamosaurus is 11 blocks long and 5 blocks tall, and some more facts - Dynamosaurs use the same spawning way as Acanthopelta, but appear once at 14 chunks instead of 24. Also: they can be gray-and-white, dark gray-and-ight gray, black-and-white, black-and-gray or brown-and-sandy. It's all creatures for now. I re all like this, I wish it was added. You're knowledge of Paleontology is great, I also like studying it, please add on. Good job. You clearly care about this and it shows. 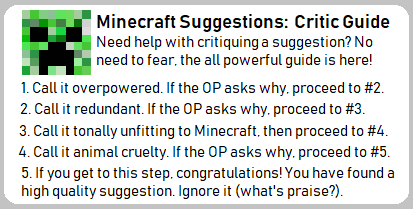 My one piece of advice would be to cut down on some of the content and streamline it for the average minecraft player. This all seems like a mod with the sheer amount of content. Also, whydo we need this?